Wow where did this year go? 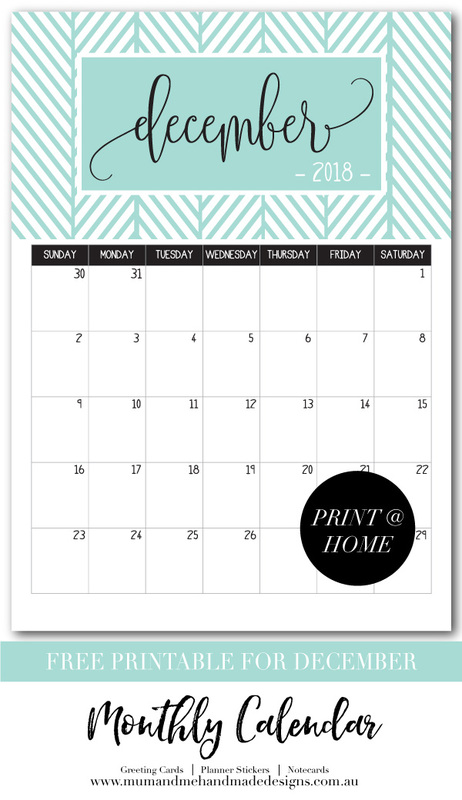 December is nearly here which means I have a new Free Printable December Calendar for you. It is now available to download (see link below). This bright and stylish Calendar in Neptune Green would look great in the home or at the office. Just download and print from home. 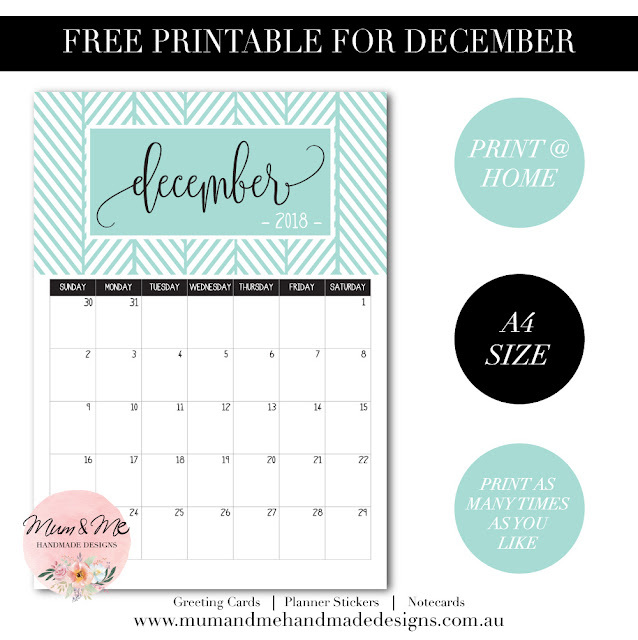 Click HERE to download your free December 2018 Monthly Calendar. Have a wonderful December everyone!